I love painting the sea. The weather has been a bit chaotic with wind and sunshine. 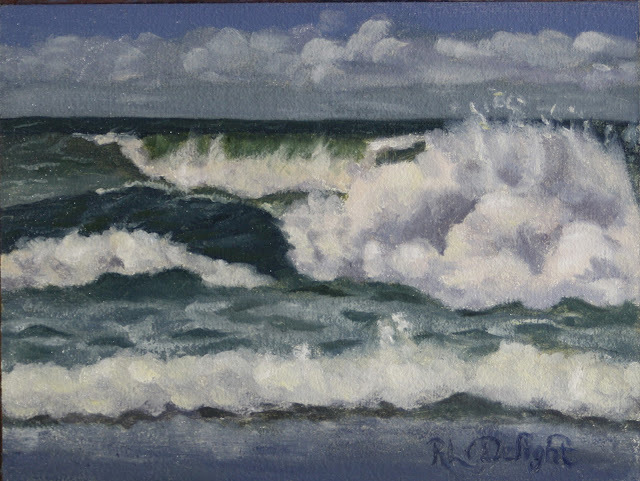 It has been a challenge to get out to paint the next wave study. I have a total of a wonderful 50 wave studies which is a nice chunk but still quite a ways to go. I enjoy looking at them and seeing the gradual progress which can be hard to see in the day to day painting process. "Neahkahnie Magic" is one of my favorite paintings from my 30 in 30 challenge. 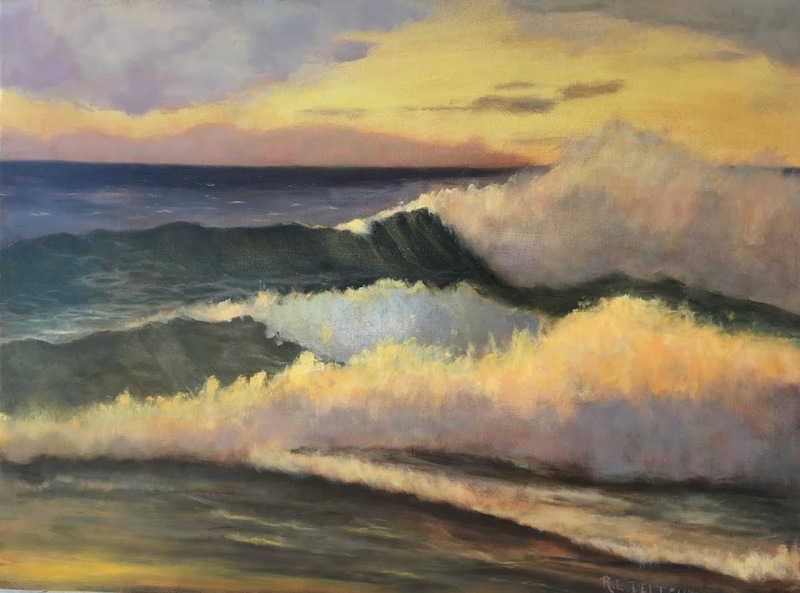 I used a wave study to make a formal painting. It is still available here! I believe I mentioned that one of the items I requested for my birthday a couple of weeks ago was a year round State Park pass. They are good until the end of the month on the year they expire so it pays to wait until the first of the month to buy one. You get a month free! Since yesterday was the first of May and we went to get a pass. My mate made it a two year pass! 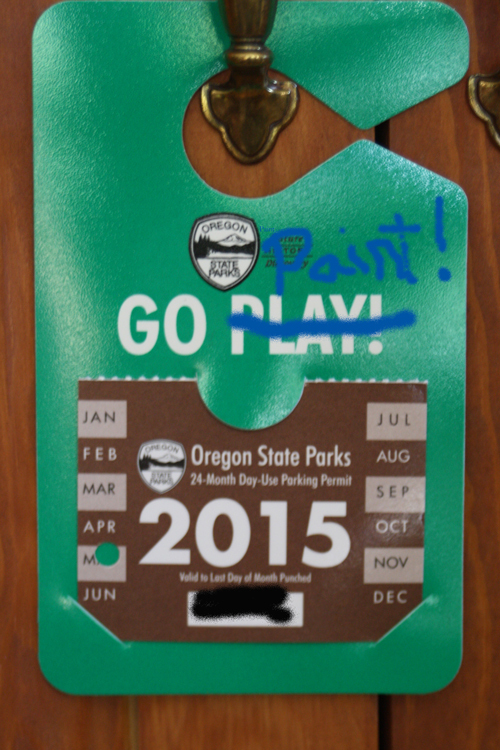 I modified the hang tag a bit in Photoshop and then modified it for real too. I am so excited! This afternoon we will be celebrating by packing up Twill with her new ramp and heading to Ecola State Park on the north end of Cannon Beach. I will have pictures to share soon and hopefully a painting. So with that, off to paint!